So you know how I’m absolutely smitten with sriracha, right? Well, if you feel the same way about all things rooster sauce, listen up. 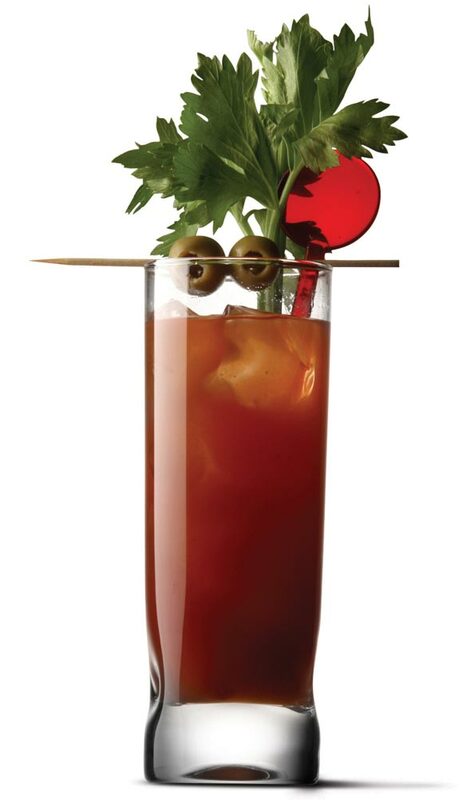 There’s a new way to enjoy that spicy chili flavor: the Sriracha Bloody Mary! We recently got this bloody mary recipe from UV Vodka, and it’s simply delicious! With plenty of zing and flavor it gets a lot of its kick from about the coolest (or, actually, hottest) new flavor of vodka that they offer: sriracha! Yes! Oh, and don’t forget to garnish with all the traditional fixin’s: celery stalks, pickles, olives … all of it!